Don’t let the excitement of a well-deserved holiday blind you to the risks of leaving your home unprotected. 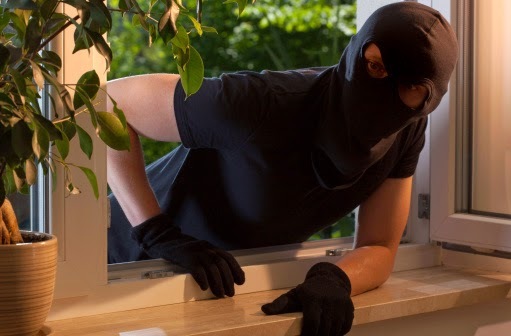 Burglary is still one of the most common crimes, so it’s important to take precautions before you leave, so that you don’t return to any disasters. Many modern homes today in the UK already come with security locks, burglar alarms and security lighting included as part of the standard specification ensuring that homeowners live in a safe and secure environment. At Discount Insurance, we've put together some tips to help you keep your home and possessions safe and secure while you’re away. Let your surrounding trustworthy neighbours known about your holiday plans so they can keep an eye on your house and notify the police if they see any suspicious activity. It’s always a good idea to give them your contact information to reach you if they need to. Ground floor windows and any others that are easily reached by climbing are recommended to have automatic locks, so intruders can't swing them fully open. If you own a home built in the last ten years, it may already have modern security locks. Installing modern locks may also lower your home and contents insurance premiums. It is important to have robust locks on both the front and back doors, as a well as a 180 degree door viewer to check on callers, a door opening limited and hinge bolts on outward opening doors. Newer properties may already have these installed. Again, the better the locking mechanism in place, the lower your home and contents insurance premiums will be. Do you have detection lighting? Crime can be prevented by external detection security lighting that switches on when somebody is nearby, illuminating the area. This allows both you and a neighbour to see a possible intruder. A house alarm system acts in two ways – to deter intruders, and to detect the opening of a window or a door. Some systems can be linked up to a mobile phone number letting the owner know the alarm has been triggered. If you are looking for a great rate on your tenant contents insurance, quote and buy now or give us a call on 0800 294 4522 and we will do our best to provide the right policy for you!